You are not having déjà vu, and there is nothing wrong with your television set. This morning, for the first time in my running “career”, I ran in a race that I had competed in previously. 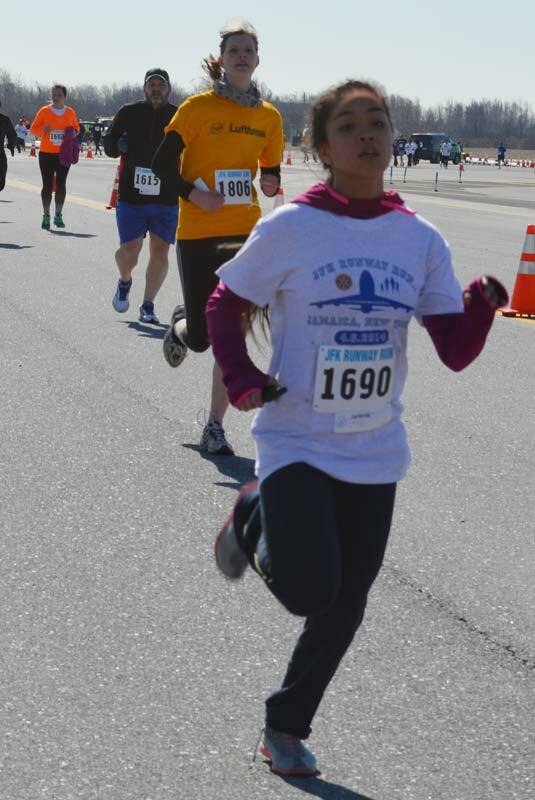 Last year’s JFK Runway Run was my second ever race, and I was coming off of an ankle injury that I’d sustained three weeks earlier at my first race. All of which means that it was slow. This year I was, barring injury or something weird, a lock to better last year’s time by several minutes, be competitive as hell with my PR, and hopefully even take a shot at a 30 minute race. 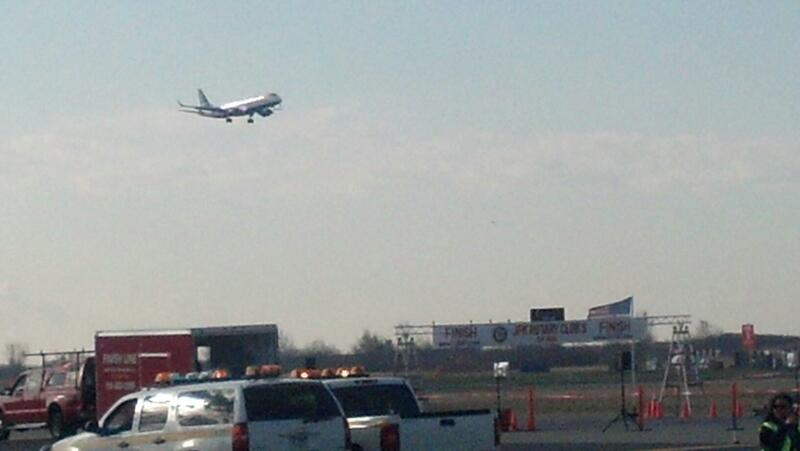 This is a rather unique race because of the setting – they actually shut down one of the runways at John F. Kennedy International Airport in Queens for the runners. Both times I’ve run it we ran from the same place: you run out about 200 yards and then hang a right, run for a bit less than a mile and a half in a straight line, and then turn around and run back. There is no scenery at all (it is a huge airfield), though airplanes are landing over your head throughout the race, which is pretty neat. The course is also perfectly flat and generally pretty windy – though this year the wind was not as bad as last year. Because of the perfect flatness I decided to push hard and see what I could do, and that strategy worked out. Other than the congestion in the first couple hundred yards my pace was remarkably consistent throughout the race – +/- 10 seconds at any given time. This is a course where you can hit a groove and just go with it, and that’s what I was able to do. My finishing time was 30:39, which is a 9:53/mile pace and a new 5K PR for me by 36 seconds! For awhile I had hopes that I could seriously threaten an under-30 finish, but that was not meant to be … which does not do one thing to take away from my excitement at a new PR. I consider this to be the first race of the season (as opposed to the last race of winter, which is what the USA Half was), and I’m ecstatic with how things have started. I currently don’t have another 5K on my calendar for the year, so this PR will stand for several months – and I’m good with that. The next time I take a crack at the distance it will be under-30 minutes or bust. – As cool as the setting is for this race, the logistics are a bit inconvenient. They obviously can’t let people just randomly show up out on the airport runway, so all of the race infrastructure (check-in, prize stage, etc.) happens at an office building and they bus the runners out to the runway. In order to make sure you get out there with plenty of time, though, you wind up killing quite a lot of time out on the runway with no shade or windbreak. And this also discourages spectators, so the wife and child didn’t make the trip. That doesn’t mean you shouldn’t run it if you’re in the area … just know that there are challenges. – The other thing about this one is that the organizers are kind of at the mercy of the TSA and Port Authority police. The runners actually wait behind a barricade a few yards from the starting line, and then when we’re released we go line up under our pacing signs. We wound up starting nearly a half-an-hour late, but I’m convinced by the way they acted that this had nothing to do with the organizers. That stunk – it was chilly and windy –but comes with the territory for the cool setting. – This race is an absolutely fascinating slice of humanity. There were all ages from little kids up to elderly runners. There was an ethnic mix that would actually be hard to put together outside of Queens. 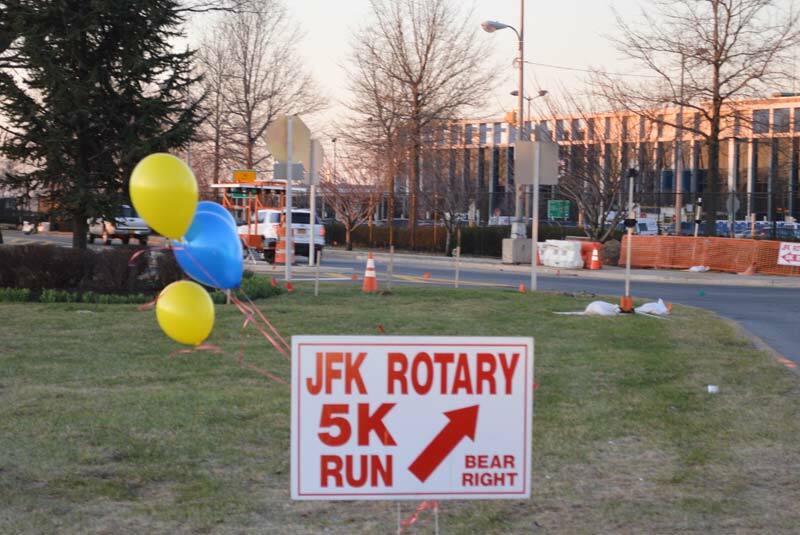 Several teams run this race – a local martial arts dojo, corporate teams for airlines at the airport, that kind of thing – and that brings with it a bunch of people that clearly don’t run many races. Many people there, in fact, weren’t there to run at all but to walk the course and get a look at the airport. Several people were wearing jeans, and one walker was wearing a shirt that said “Airplane Spotting is NOT a Crime”, which gives away his motivation, doesn’t it? There were half a dozen guys that ran the race at a sub-6:00 pace and many people that took well over an hour. There was a guy in a wheelchair and two girls in full-on ballet tights with tutus. Just a fascinating group of people. – One of my favorite things in these out-and-back (or loop) courses is watching to see when I see the leaders. In this case the leader came by me at just past the mile mark for me and just past the 2 mile mark for him – just over 11 minutes into the race. This same guy won the race last year, too, and he absolutely crushed it. I couldn’t even see second place when he came through and he wound up winning by nearly a minute and a half. Just impressive to watch. – Basic swag – a cotton t-shirt, a bib that is unique to this race (which I love) and that’s about it. There was water right past the finish lines, and bananas when we got off the buses back at race central. They also had a raffle, which I didn’t stay for. Photographers were at the start/finish line, and I’ll add pictures when they get them posted. – That was April’s race, which means my streak of running at least one race or event per month has now been extended to 14 months. I am registered for races in May & June, have targeted races in July, August, & September, and am registered for two events in October. That would get me to 20. 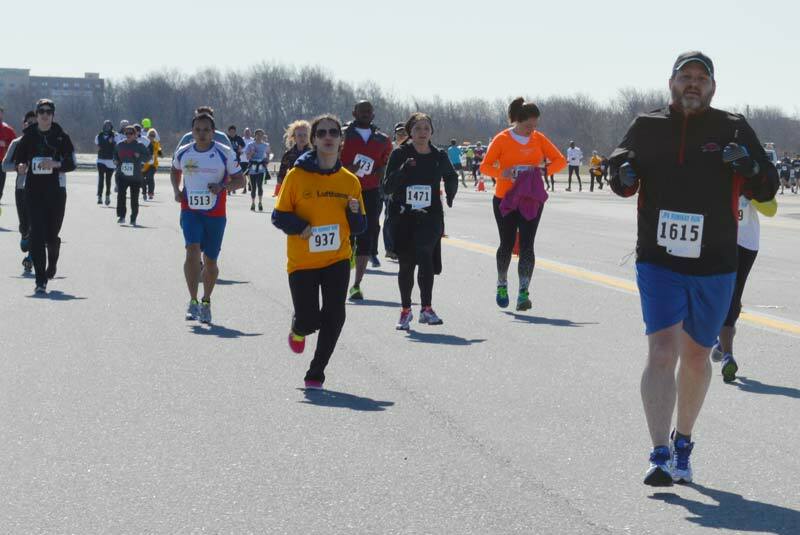 – Next race: Superhero Half Marathon, Morris Township, New Jersey, May 18th. I’m debating buying Batman stuff – we’ll see.